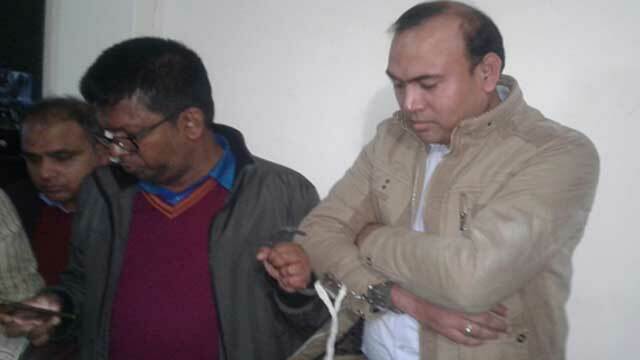 Dhaka, Jan 3 (Just News): The Anti-Corruption Commission today arrested an official of Directorate of Narcotics Control (DNC) for allegedly taking bribe of Tk two lakh in Jessore this afternoon. Nazmul Kabir, a deputy director of NDC in Jessore office, was arrested soon after he took the bribe from a liquor vendor, Shahidul Islam, sub-inspector of Kotwali Police Station, told this. Kabir took the money as bribe from Mohabbat Ali Tutul, a resident of Jessore town, for licence renewal of his wine business, the police official said. Tipped off, an ACC team, led by Dhaka Divisional Director Nasim Anwar, raided the local DNC office this afternoon and arrested Kabir, said Executive Magistrate Arifur Rahman, who was present in the operation. Two lakhs of the bribe was recovered from a drawer of his office, said Arifur.